SWAG this weekend: Old-Timey Swimming outfit and dress for dinkies. 50L$ each in the SWAG vendor only. 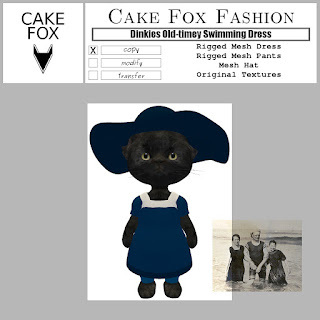 These outfits were based on pictures of Victorian era swimmers. 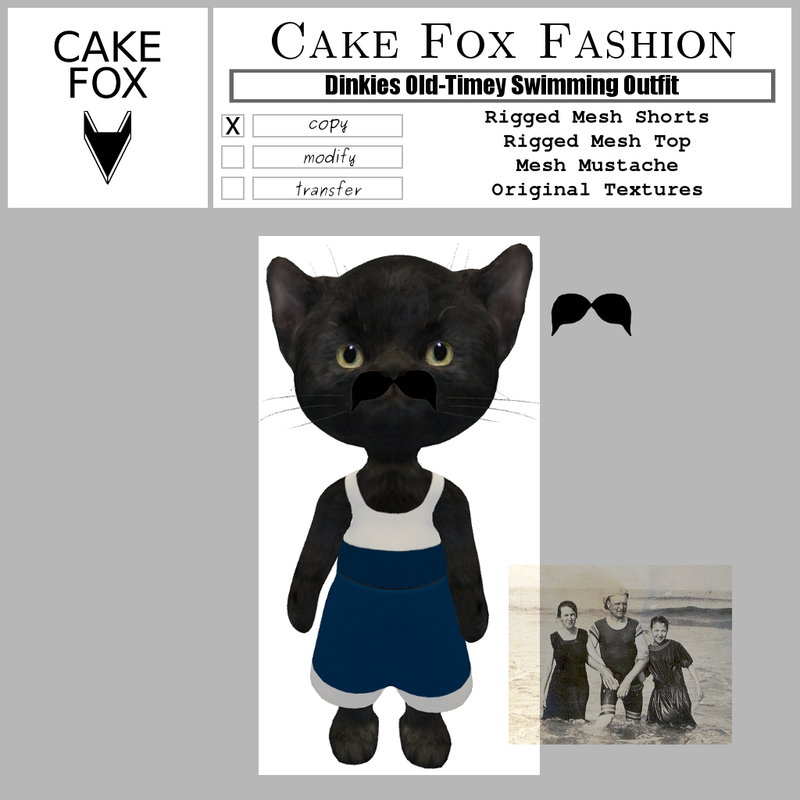 Get them here: Cake Fox SWAG.